The church of Saint Ignatius in Rome started to host, as from March 9, 2018 and throughout the duration of a year, the Aloisian Jubilee dedicated to the figure of Saint Aloysius Gonzaga, an example of charity, a model for young people and the patron saint of students. 450 years after his birth, all the churches of the world which are dedicated to this Jesuit saint have become Jubilee Churches for a year: here the faithful can obtain plenary indulgence in order to live God's mercy with greater intensity. The Aloysian Year is taking place concurrently with the Synod of Bishops on the theme: "faith and vocational discernment". Through the life of Saint Aloysius, the Society of Jesus desires to offer to youth the instrument of discerniment and invite them to reflect on charitable love as a way of being witnesses to it in daily life. 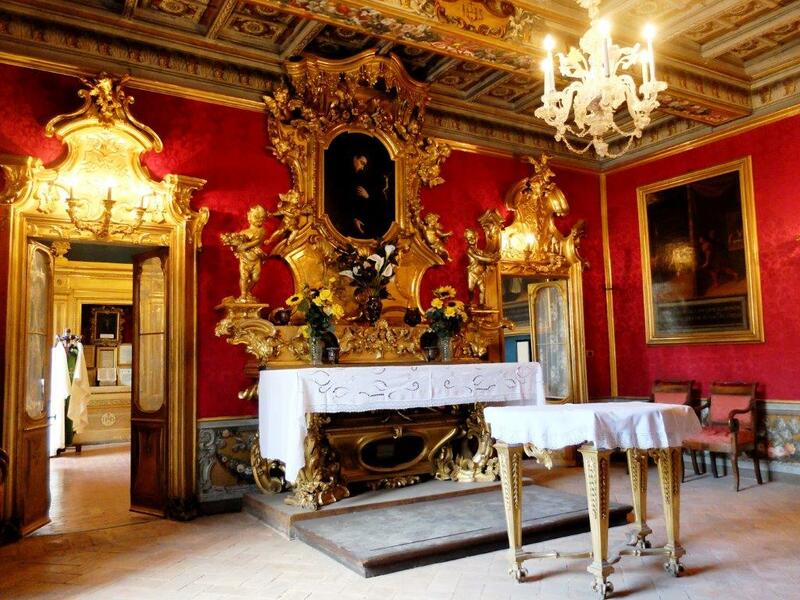 The burial and relics of Saint Aloysius Gonzaga are found under the right side altar of the church. The rooms where the saint and other Jesuits lived during their period of study at the Collegio Romano, are located next to the building. The rooms can be visited by reservation.